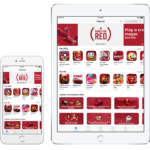 Apple has come out on top in J.D. Power’s latest ranking of wireless router manufacturers, with highest overall customer satisfaction. According to the J.D. 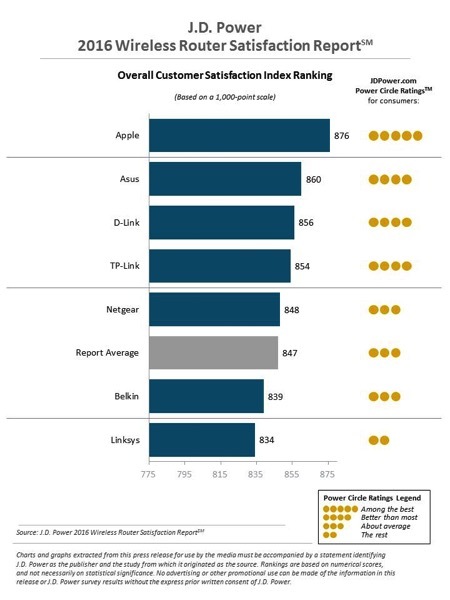 Power 2016 Wireless Router Satisfaction Report, Apple’s AirPort Express, AirPort Extreme, and AirPort Time Capsule earned an overall customer satisfaction score of 876, based on a 1,000-point scale, followed by ASUS at 860, D-Link at 856, and TP-Link at 854. The report, which is based on responses from 3,037 consumers, also shows that Apple was the only company to receive a 5-star Power Circle consumer rating, which places it “among the best”. J.D. Power measured overall satisfaction across 10 factors, listed in order of importance i.e. Wi-Fi range, reliability, speed of upload/download, restore connection easily, security capabilities, price, ease of use, variety of features, intuitive user interface, and customer service. It is interesting to point out that only last week, Bloomberg reported that Apple is planning to discontinue wireless router development, and has already disbanded its division that develops the Airport WiFi routers.